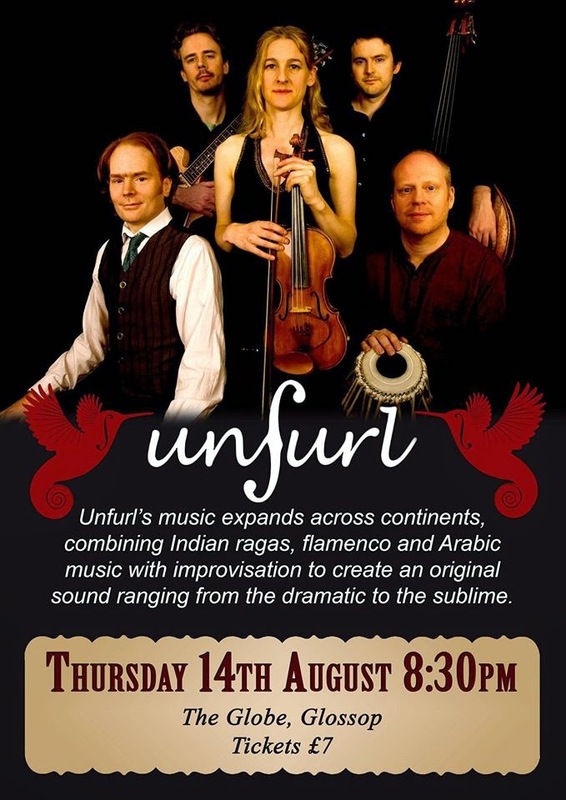 Unfurl are a five piece band who combine Indian Ragas, contemporary jazz, flamenco and Arabic rhythms to create an uplifting fusion and an original sound. Unfurl have been enthusiastically received at numerous Jazz festivals across the country, including Manchester, Marsden, Marlborough, Brecon and the London Jazz Festivals as well as in numerous clubs and theatre venues across the north and most recently at Birmingham Symphony Hall Foyer. Unfurl originated from the spontaneous jamming between the two founding band members, Olivia Moore and Adam Warne and has been evolving ever since. "Unfurl's music expands across continents, combining Indian ragas, flamenco and Arabic music with improvisation to create an original sound ranging from the dramatic to the sublime."